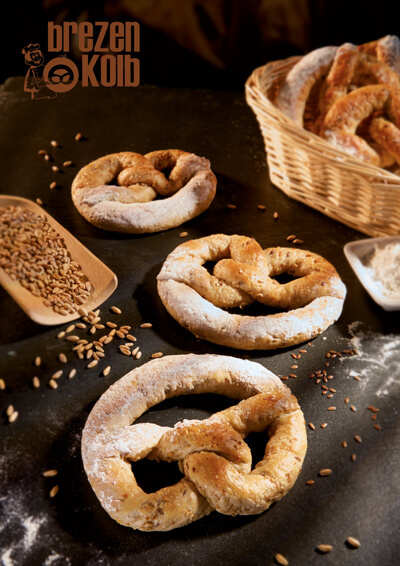 In Munich they call them Brezn, in Swabia they’re known as Bretzel, and in Franconia they’re called Brezen. 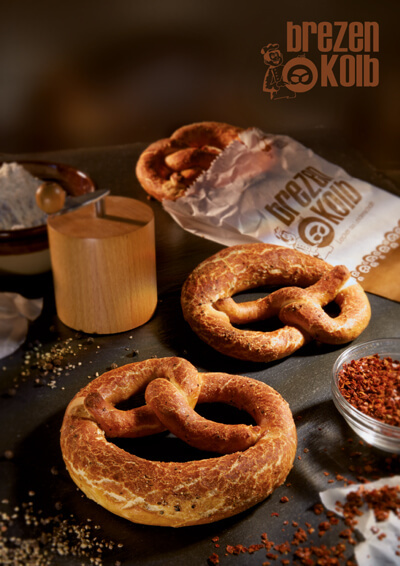 We know them as pretzels. 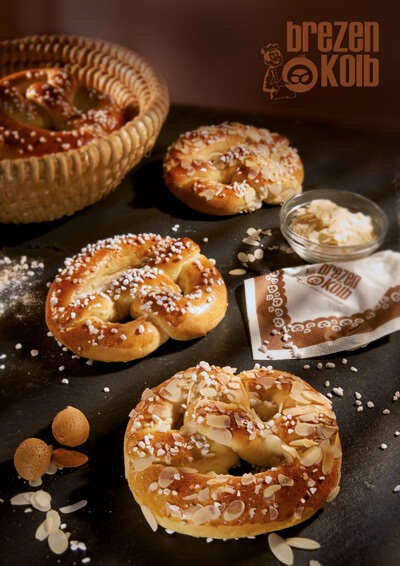 But whatever you call them, the top dog for pretzels in Nuremberg is called Brezen Kolb. 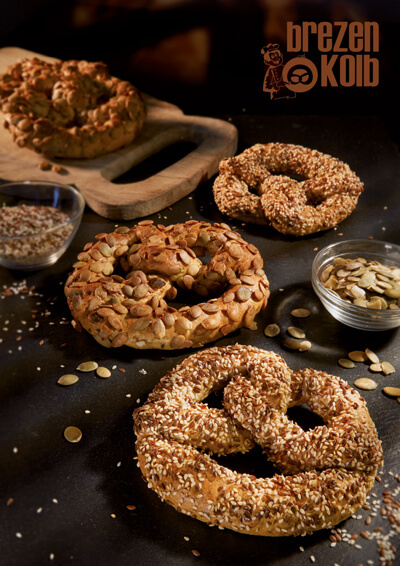 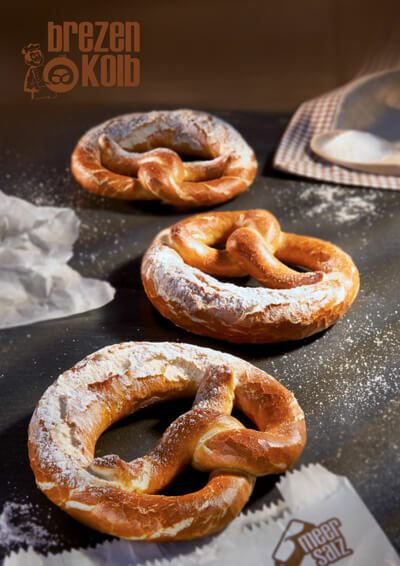 What started out as selling from a vendor’s tray has now become a successful sales concept – with brick-and-mortar bakeries and the very first pretzel drive-through. 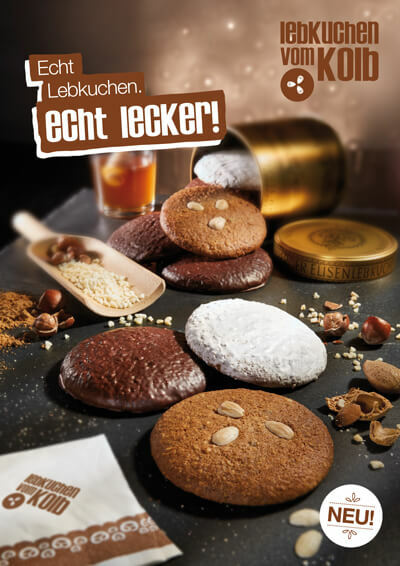 psbrands focuses on photographing appetising food motifs for Brezen Kolb in a “perfectly imperfect” style and then using them on posters and advertisements.